Takeout pricing is honored for pick-up only customers and does not apply to dine in or delivery customers. 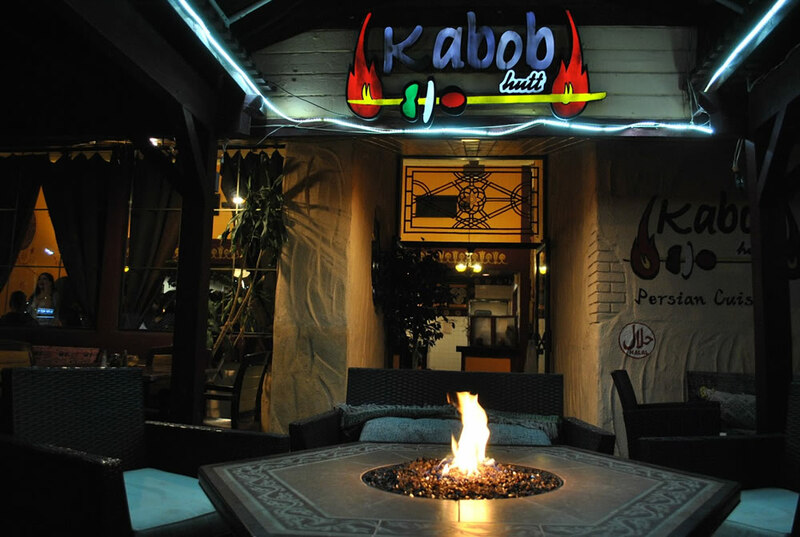 Kabob Hutt is a Persian restaurant that prides itself for high quality, freshly made to order kabobs and other daily dishes. In addition, we offer a wide selection of Vegetarian & Vegan dishes. Did we mention that our products are HALAL & Kosher friendly! Our menu is designed to fulfill all of our guests needs. Whether you have a hearty appetite, or are on a Fitness plan, we have something you will like. We are excited to introduce our new Fit Choice menu, which complements our regular menu items. Our Fit Choice Menu has a variety of Bowls and Wraps ideal to the guests who are on portion controlled fitness programs. Kabob Hutt is open for all holidays year round , keep in touch with us on Facebook or Instagram for special events and more! Our rewards program includes a free dessert on your birthday [must have a valid drivers license to confirm birthday] and every item has different points so every 100points you reach you receive a $10.00 gift card for your next visit. Join us at our 12th Annual Fire Festival on March 19th. Click the flier below to get tickets while they last!